Welcome to the ST4 Do It Yourself manual. You are now the proud owner of an ST4 DIY kit and you got that soldering station warmed up and your hands itching.. Also, you’ve got advanced soldering skills as you’ll be soldering hundreds of components of all sizes and shapes. Yes, this kit is not recommended for beginners, although it’s not at master level either. SMD parts are pretty big (SOIC and 0805) and the rest is all DIP/through hole. To be absolutely clear, learning to (de)solder through-hole and basic SMD is beyond the scope of this manual. 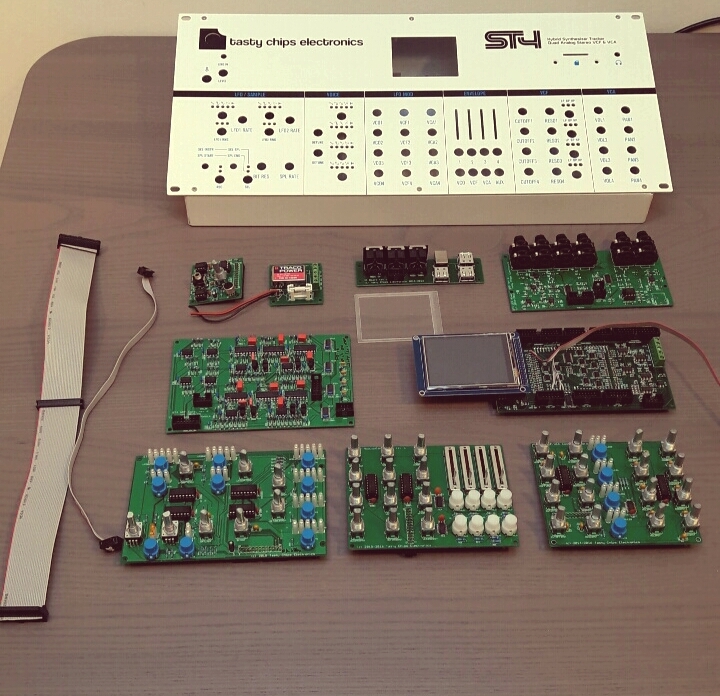 We can recommend many tutorials on the net, but we encourage the beginner to start with simpler DIY projects (such as our Sawbench synthesizer kit) and move to the ST4 later on. If you happen to make a mistake during the build, it’s possible that we can correct and/or finish the job for you. But this will come at a price. The kit itself is a world of luxury: yes, there may be no wires supplied (a normal thing in the DIY world), but ribbon and USB cables are! Of course, the beautiful metal casing is also part of the deal. All components: IC’s, transistors, diodes, and passives are furnished! For your convenience, the kit is organized in a one-bag-per-board fashion. Scan the QR code to go to the respective page in this manual!